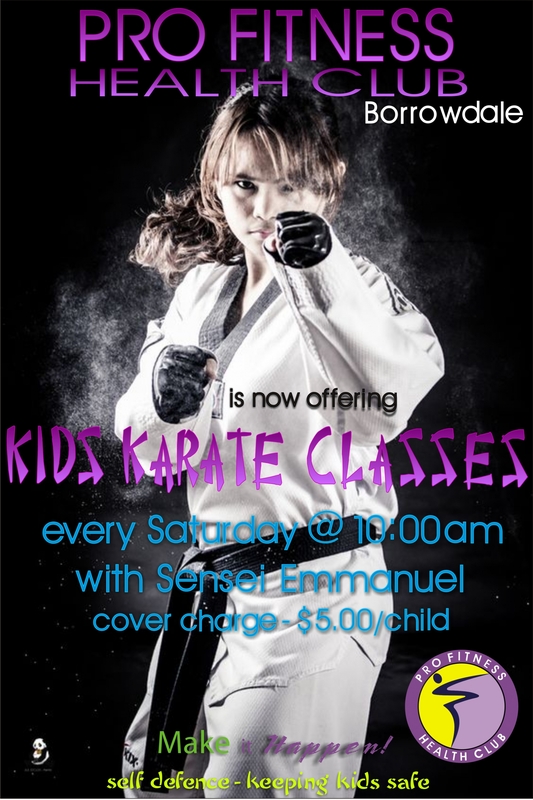 Pro Fitness Health Club is now offering Kids Karate Classes every Saturday at 10:00 am with Sensei Emmanuel. Cover charge $5 per child. Make it happen- Self defence-Keep kids safe.